Wrestlemania is professional wrestling's equivalent of the Superbowl. Tonight will be the 30th such event--three decades of mostly great storytelling, controversy, amazing memories, and occasional disappointment. While the label the "Hip Hop Generation" has been used to talk about those of us who who were born in the 1970s and 1980s, we could also be called the "Wrestlemania Generation". The children of those decades saw professional wrestling reach new heights of popularity, the breaking of kayfabe, the fall of the regional territories, and WWE/WWF's emergence as a true, global, multimedia empire. Like hip-hop, American professional wrestling really did conquer the world. That fascination with and love of professional wrestling remains with me to this day. I know that I am not alone. Tonight's card offers up some of the most interesting possibilities that fans have seen in some time. There is a nice mix of new talent and older established workers who are closer to the ends of their careers than the beginning. And of course, we have Daniel Bryan, one of the most compelling, talented, and "over" wrestlers in recent history. Here are some random thoughts and predictions about Wrestlemania 30. 1. The WWE should want its fans and viewers to go home happy in New Orleans. 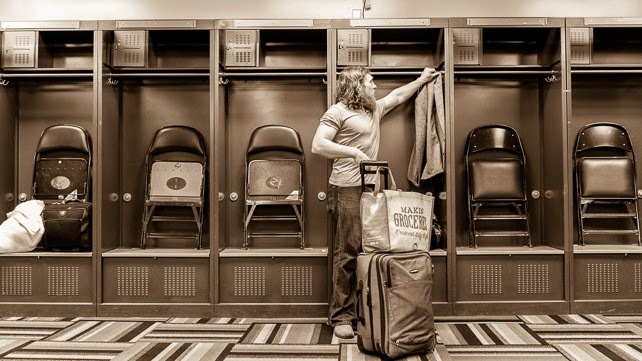 Daniel Bryan has faced every imaginable obstacle on the road to his becoming world heavyweight champion. His every-man dreamer against all odds trajectory is so compelling precisely because its true. Bryan's character is wonderful because he is himself with the volume turned up. Bryan's amazing skill set translates into excitement, sympathy, and idolization from the fans. Daniel Bryan as champion is WWE's rewarding the fans' investment in him. Bryan should win; Because of that fact Daniel Bryan will not win tonight. Prediction: Batista walks about with the belt and the crowd explodes with anger much like they did when Hogan turned heel and formed the N.W.O..
Vince and company feel like there is more money with Bryan chasing the belt and the fans becoming more and more invested in him. Batista will be even more unpopular and an even more effective heel if Bryan loses tonight. 2. Daniel Bryan reminds me of the kaiju monster King Caesar. I like him and his beard even more so because of that similarity in affect. 3. The great TV writer and author J. Michael Straczynsky says that characters serve the purposes of a given story. As I think about the different story lines that are culminating in tonight's Wrestlemania, I am not sure if the rubric holds for professional wrestling. The build up for the stories this year have been very hit or miss. This is likely caused by the odd mix that was CM Punk walking away from the business, Cena's injuries, and how dead on a arrival Batista was to the fans. Bryan is the star performer of 2013-14. Wrestlemania 30 is a chance to fix some of those errors with a memorable night of story-telling and action. Will it live up to that burden? 4. Prediction: John Cena should lose to Bray Wyatt. John Cena will lose to Bray Wyatt. It will not be a clean loss. The Wyatt clan will distract Cena and cost him the match. The Wyatts are the future. Bray is a student of the mic and has likely watched thousands of hours tape. His ticks, mic control, and subtle moves are the result of practice and natural talent. I can't wait to see what he does in the future. Moreover, there is no reason that John Cena should hold a title belt in the near future. Like Hogan was in the mid to late part of his career, Cena's persona transcends any championship. Cena is the company's number one face and makes a ton of money with merchandise. He, like Hogan, is also stale and boring at this point in his career. Cena should turn heel. Of course, that will not happen any time soon. Or will it? 5. Hulk Hogan and Steve Austin are both at Wrestlemania 30. Hogan is the host. Austin has not been on TV for some time. They will get involved in a minimally physical way (because of health issues). Will they run in to save Cena? Will Hogan save Bryan and put him in the final match because HHH found a dishonorable way to win their first match? 6. Undertaker and Brock Lesnar will have a solid match with lots of near falls and maybe even some blood. I remain worried about Lesnar's very stiff style and if he could in fact injure the increasingly decrepit Undertaker. The 'Taker remains the man. Wrestlemania is about the tradition of his winning year after year after year after year. Such a vaunted streak is not broken by Brock Lesnar. 7. The Shield is a stable full of future champions. They will not break up tonight. The Shield will beat Kane and The New Age Outlaws. 8. The Andre the Giant Battle Royal? I am indifferent. The Divas match? Who cares.